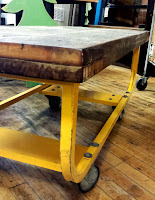 Today Martin brought a sample of the new Commercial Cart Table to the showroom. We made a limited run of these coffee tables using found institutional carts as a base. 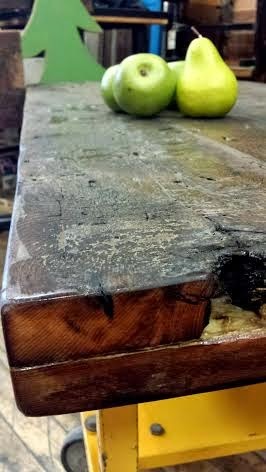 The top comes in a variety of colours and every one will be a little bit different. 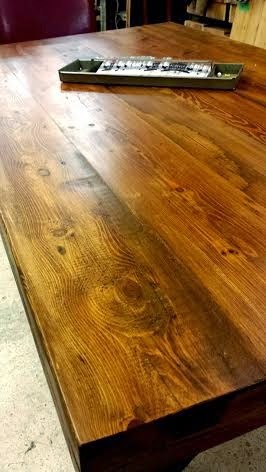 If you come into the showroom, no doubt you will see one of us sitting in the back of the shop working at the large harvest table among wrapped up benches ready for pick-up and wood stain samples. 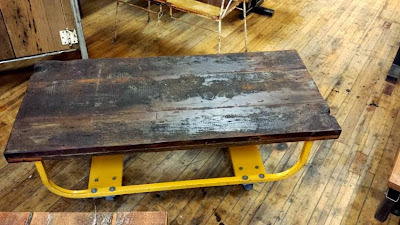 Often partially covered by drawings for new custom pieces, the charms of this table are not lost on most people who see it. 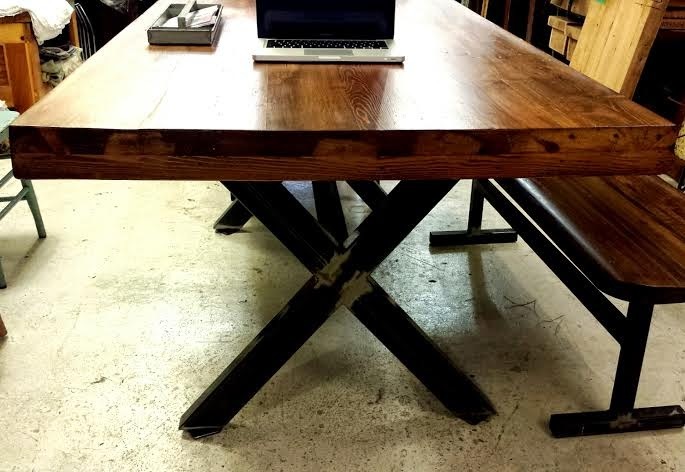 This X-frame table with the Colonial American BC Fir top is incredibly comfortable to work at. 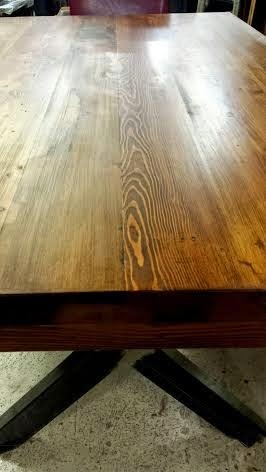 The table is 6 feet long like so many others, however the width is almost 40 inches. At just over 3 feet wide, the extra few inches make this table nothing short of luxurious.